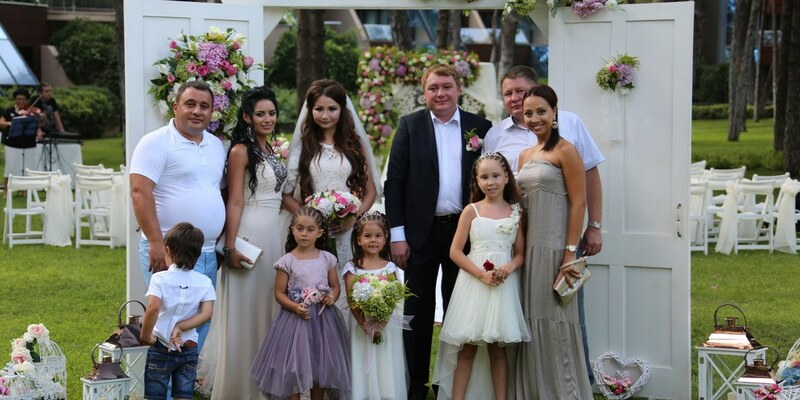 Antalya is an important wedding city for most Kazakhs, if they are thinking about holding a wedding abroad. The climate of Antalya, luxury hotels, perfect coast, Turkish cuisine and Turkish hospitality is very important for Kazakhs. Kazakhs come to Antalya with their families and wedding guests for 100-150 people for rest and prepare wedding entertainment according to the wedding culture of Kazakhstan. On every Kazakh wedding must be a Kazakh wedding toastmaster. They organize and manage the games, competitions on Kazakh weddings. According to the wedding culture of Kazakhs, wedding bread ceremony is very important. Another important ceremony in the wedding culture of Kazakhs is the lighting candles ceremony with wishes of happiness for the bride and groom. Our company Wedding City Antalya provides these ceremonies, according to Kazakh traditions. A very detailed Kazakh wedding, after these important Kazakh ceremonies, is very colorful with its incredibly entertaining competitions. Kazakh wedding toastmaster entertains everyone by arranging wedding competitions for guests and those who are first in these competitions get pre-prepared gifts.Guests who lost are not upset, but the winning side looks amazing. If everyone is incredibly entertained, then this is recognized as the success of the Kazakh wedding toastmaster. Kazakh wedding decorations and Kazakh wedding entertainment are always required to be higher than excellent. The Kazakh weddings organized by us, which were very colorful and specially decorated for each person, were always successful.